Educational workers and librarians from five elementary and five high schools in Serbia attended media and IT literacy seminars, this semester, as part of the “Digital Drive” – the biggest project in media literacy funded by the EU Delegation to Serbia. The project is conducted by the Novi Sad School of Journalism and “Biblioteka Plus;” the first cycle of training is wrapping up at the end of school year, with the second cycle to follow in September. 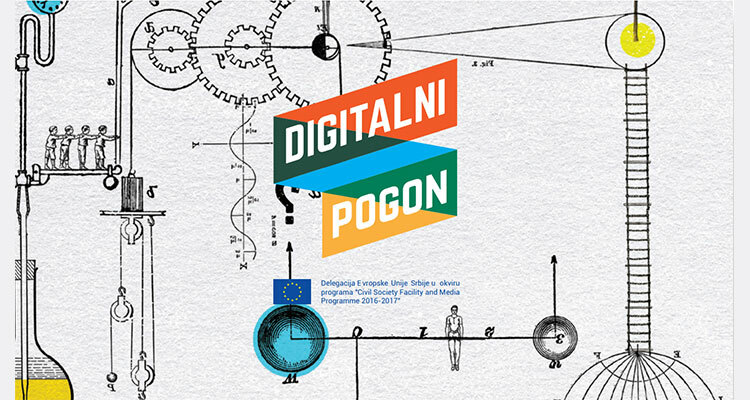 The aim is to have 1,000 educational workers and 20 librarians, from 20 elementary schools and high schools, go through this free seminar and earn their credentials in applying media and IT literacy in already existing, and possibly one new class – language, media and culture, a subject whose inclusion in the curriculum was announced for next year – as well as creation of school medias. Teachers, professors and librarians gain knowledge on these seminars on how to modernise their approach to teaching through the use of available, new technologies and multimedia techniques that would help elementary and high school students learn better. Aside from the seminars, the cooperation with schools includes mentor support for achieving innovative approaches to existing school curricula and elective school activities, as well as summer camps for educational workers and their students who would be included in the production of creative materials. Professors and teachers who are already attending seminars will present their results, along with their students, at the Belgrade Creative Arts Festival, at the end of June. The project also includes seminars for librarians with the aim of transforming school libraries into information and creative centers, and will also include, as a closing activity, a study trip to European countries in order to start cooperation with other schools. Media literacy in the modern society represents a new form of functional literacy for citizens, and “Digital Drive” was launched with the intent of including media and IT literacy in the already existing systems of elementary and high school education in Serbia, in order to develop critical awareness in students and enhance the level of creativity and interactivity in schools. The project’s value is EUR 329,995, 90 percent of which is financed by the EU Delegation to Serbia, while the rest is provided by Belgrade Open School with the support of Sweden.